Welcome to the Sick-Films.com Feature section. Here you will find a number of specially-written articles based on a variety of themes. 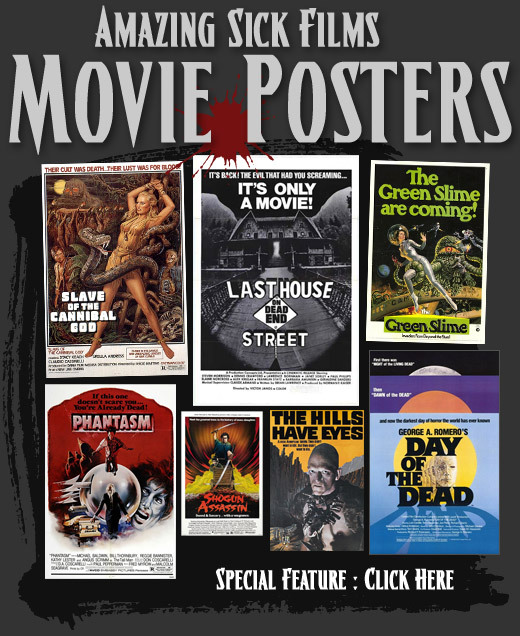 Zombies, Scream Queens, Video Nasties, BluRay - and more. We will be adding more features over time, so check back for updates every once in a while. [Above] The wonderful world of Video Nasties. [Above] Click the image above to read our feature about sick films on BluRay. [Above] Our specially-prepared collection of incredible, twisted movie posters. [Below] The best (and sexiest) horror movie Scream Queens of all time! 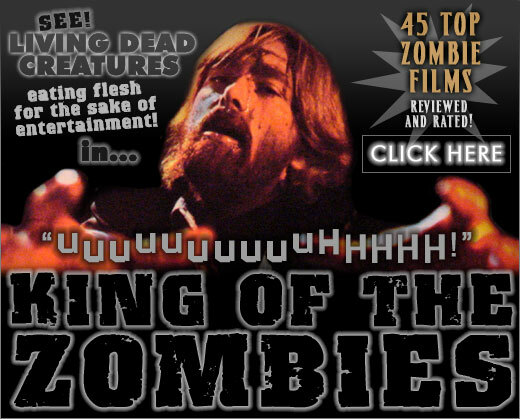 [Below] It was written a long time ago, but is still relevant now - 45 of the best (and worst) zombie films of all time, reviewed and rated, with a favourite picked-out at the end. Dedicated to the memory of George A. Romero. The Sickest Dracula Ever Made? When Bram Stoker wrote his classic tale of horror he never could have envisaged it'd be like this... Udo Kier plays a Dracula that can only drink the blood of virgins, and finds a family full of them. Unfortunately, gardener Joe Dallesandro is one step ahead of him in deflowering the virgins.